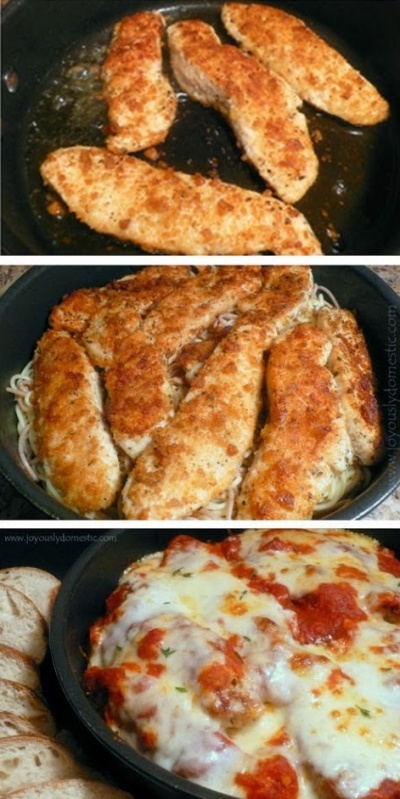 This Skillet Chicken Parmesan Over Pasta is a simple variation of traditional Chicken Parmesan. The chicken and sauce can be served with whatever pasta you prefer. Once the pasta is cooked, everything comes together in one pan.